Red-hot Black Panther statue! How hot is your Gallery? The Black Panther braves the flames as he makes his way to the Marvel Gallery line! 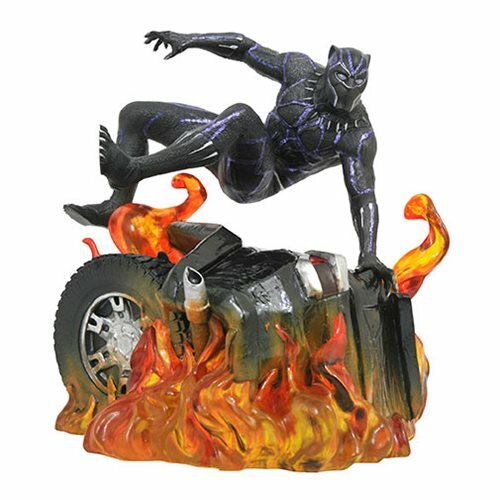 Vaulting over the flaming wreckage of a car chase gone bad, T'Challa is sculpted in a 9-inch scale and cast in opaque andtranslucent plastic for a realistic flame effect. The Marvel Gallery Black Panther Movie Version 2 Statue features a detailed sculpt and paint details and comes packaged in a full-color window box.